Huge, bold prints are one of my favorite things, year round. For spring though, I love transforming them into skirts. Typically, I go for a more retro look when creating my own clothes, but I decided to modernize this midi a little bit with a long, asymmetrical hem. The print is Mood’s Deep Sea Blue Floral Cotton Lycra Sateen and for the lining I went with a black cotton sateen that had a beautiful sheen to it. 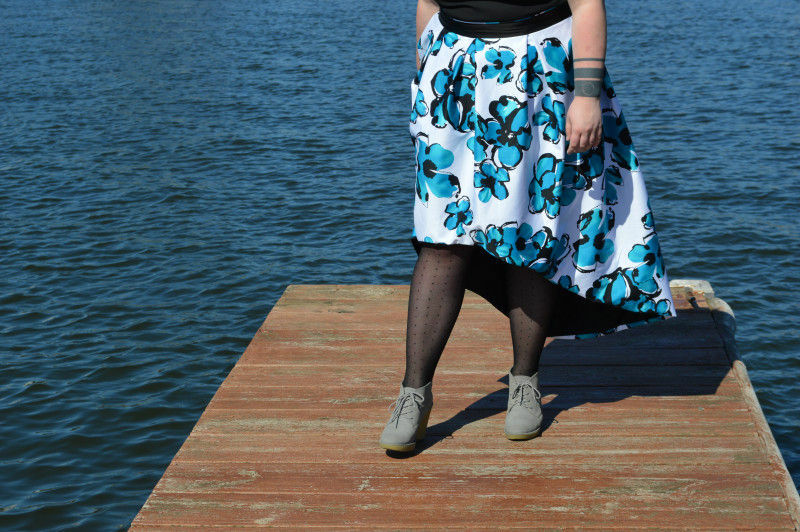 This skirt was so simple, it barely needed a pattern. I folded 2.5 yards of fabric and cut a slight curve for the bottom of the skirt, like you see above. The front of the skirt was on the fold, and I started about 22″ down, so the shortest part would fall around my knees. 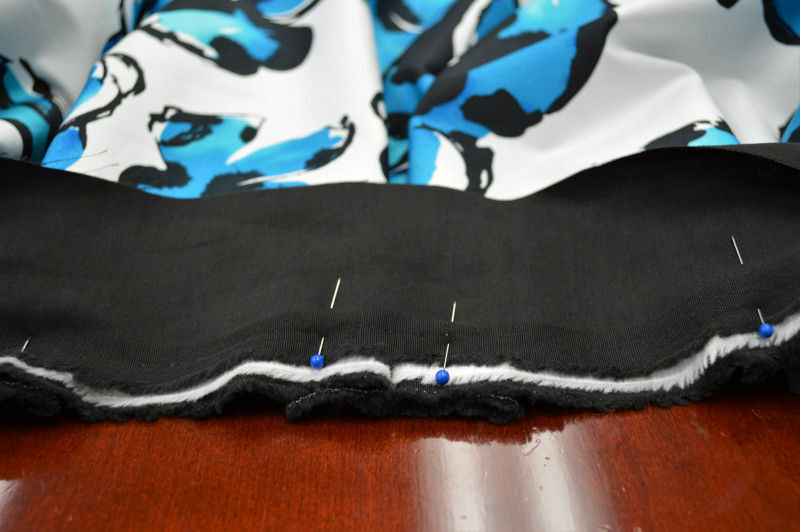 When it came to constructing the skirt, the first step was sewing the right sides together at the hem. 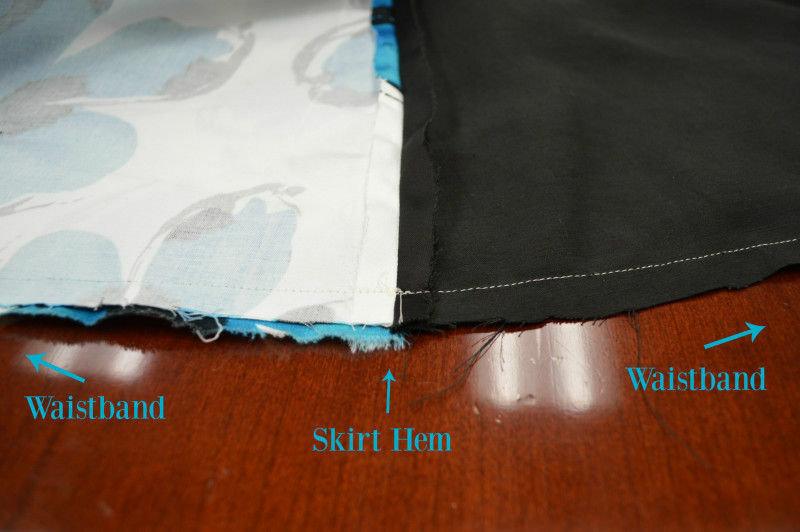 From there, the back seam was sewn, up to about 8″ from the waistband, leaving room for a zipper. Once the back was together, the fabric could be turned right side out and ironed along the hem. At this point, I essentially had a huge tube of fabric that could probably fit around my dining room table. It was time for box pleats! 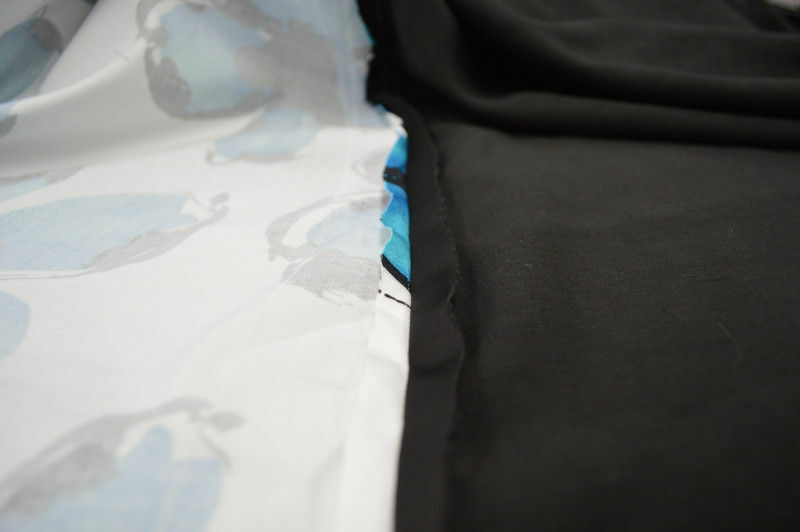 From both the print and the lining, I cut a 3″ strip of fabric the length of my waist. 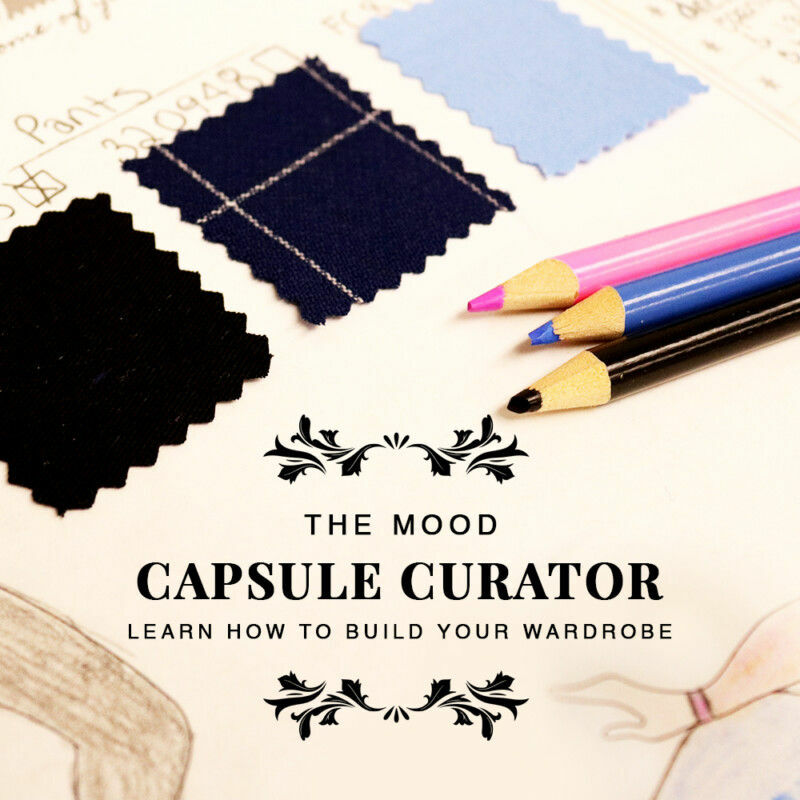 I added 8 box pleats to the skirt, and pinned the strips of fabric on top for the waistband. If you have a small waist, you’ll end up with larger or more pleats, making your skirt a lot fuller. 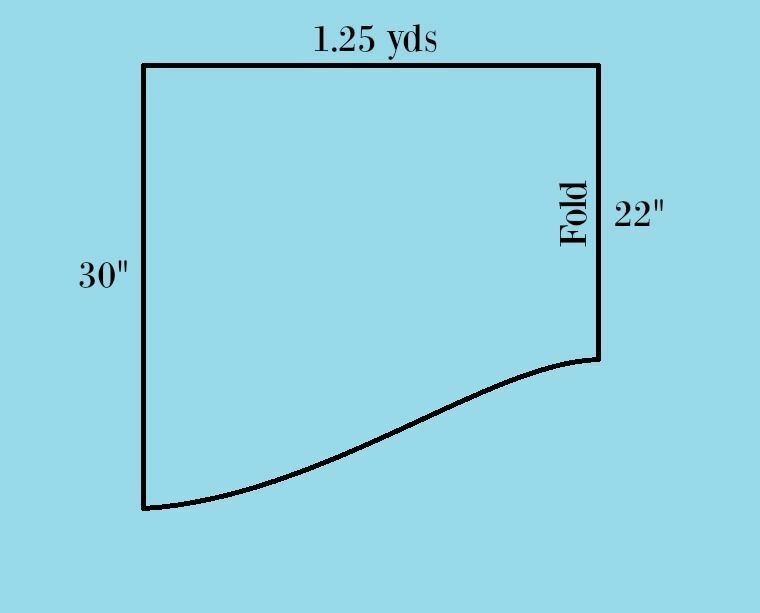 If you’d like to avoid that, you can use less than 2.5 yards. 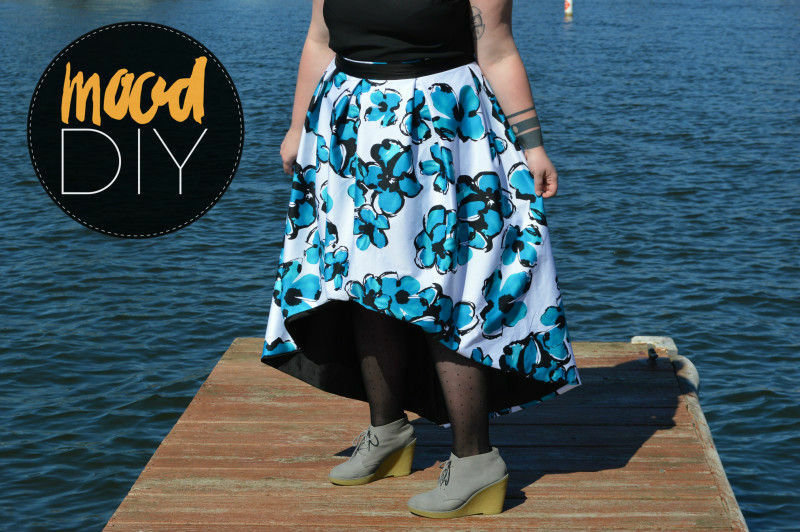 But who doesn’t love super full skirts? They’re so fun to twirl around in!